Have the same functionality and features like the one from the Client Networks. For the “Get me a network feature to work” staff must configure it here. 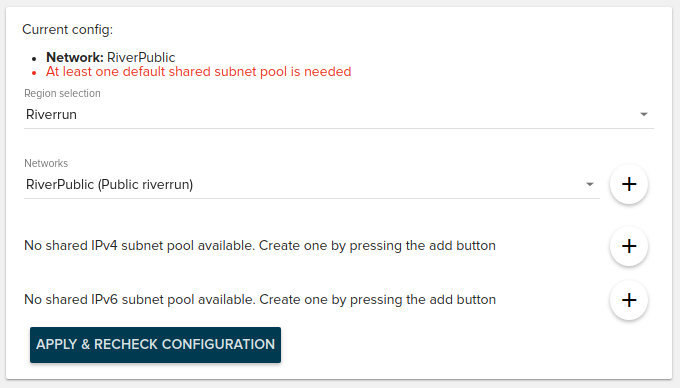 You must give for each region an external default network, and at least one default shared subnet pool. 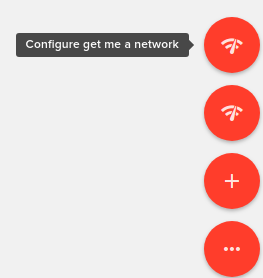 Additionally to the user interface network creation, you can choose the network type at the creation. 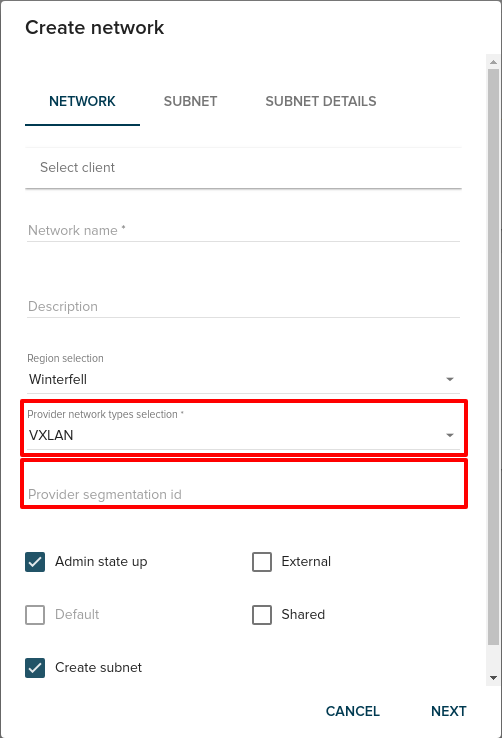 Depending on the chosen network type additional fields may need to be completed.